Size: Up to 12 feet more or less. Growth Form: Forb/herb; erect shoots; creeping rootstock from rhizomes. Leaves: Green; long, narrow and slender leaves; sheath tapered to blade. Flower Color: Yellow (male) inconspicuous; very small on terminal spikes; flowers unisexual, monecious, naked axis between male and female flowers, male flowers on the top of the spike and female flowers below. Flowering Season: June to July; March to August in Texas. Elevation: Sea level to 6,500 feet; below 4,500 feet in California. Habitat Preferences: Riparian areas, wet-lands, moist areas and marshes. Recorded Range: Typha domingensis is found mostly in the southern ½ of the United States. 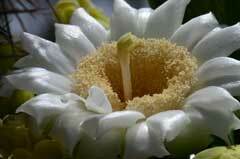 It is also native to Baja California and is found throughout Mexico. This species also occurs in the West Indies; Central America; South America; West Indies; Eurasia; Africa; Pacific Islands (New Zealand); Australia. 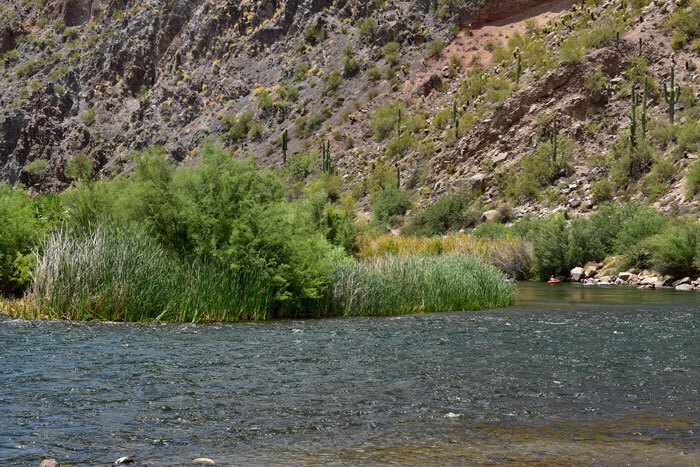 In Arizona it is found throughout the state in preferred habitat. North America & US County Distribution Map for Typha domingensis. Wetland Indicator: In North America Typha domingensis has the following wetland designations: Arid West, OBL; Atlantic and Gulf Coastal Plain, OBL; Eastern Mountains and Piedmont, OBL; Great Plains, OBL; Midwest, OBL; Northcentral & Northeast, OBL; Western Mountains, Valleys, and Coast, OBL. 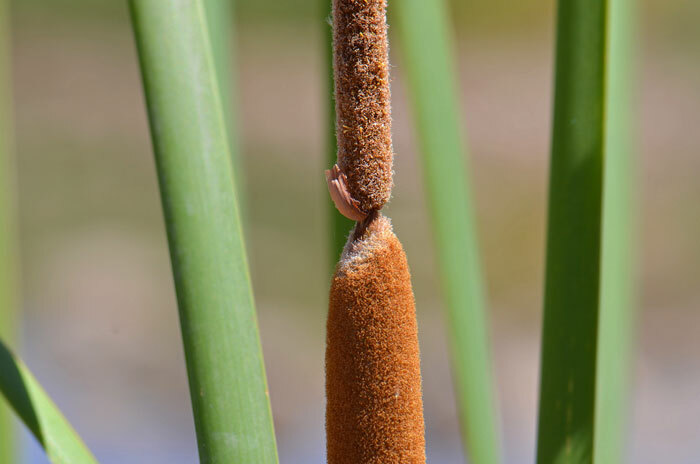 Genus Information: In North America there are 3 species and 5 accepted taxa overall for Typha. World wide, The Plant List includes 38 accepted species names and includes a further 63 infraspecific rank for the genus. 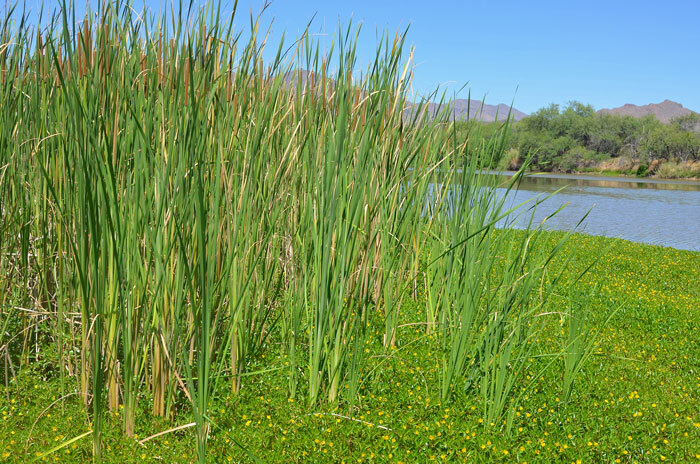 In the Southwestern United States there are 3 species of Typha and 2 hybrids. All data is approximate and subject to taxonomic changes. Typha ×glauca [angustifolia or domingensis × latifolia], (E½ North America and scattered western states). Comments: Typha domingensis may become aggressive and choke out native plants and close large areas of surface water. Typically found in brackish water or damp, wet soil. 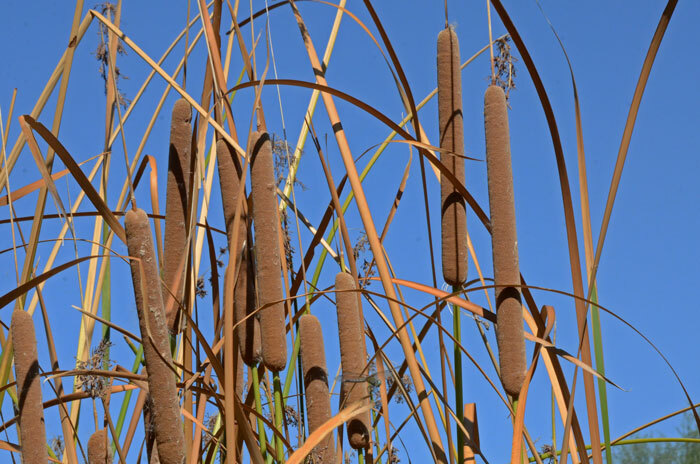 Typha domingensis has been used for food and building materials southwestern indigenous peoples. Havasupai Fiber, Building Material, Stalks and leaves used in thatching houses. Kawaiisu Fiber, Building Material, Long leaves used in house construction. Paiute, Northern Fiber, Basketry, Used for wefts and binding tule items. Paiute, Northern Food, Bread & Cake, Seeds gathered into a dough, kneaded, made into flat cakes and roasted under hot coals. Paiute, Northern Food, Porridge, Seeds roasted, ground into a meal and stone boiled into a mush. Pima, Gila River Food, Unspecified, Roots eaten raw. The Plant List (2013). Version 1.1. Published on the Internet; http://www.theplantlist.org/ (accessed 09/19/2016). Native Plant Information Network, NPIN (2013). Published on the Internet http://www.wildflower.org/plants/ [accessed: 09/19/2016]. Lady Bird Johnson Wildflower Center at The University of Texas, Austin, TX.